New models arrives constantly and looking for adventure. 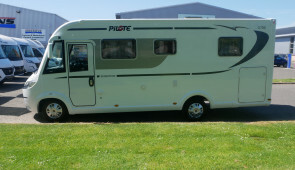 Welcome to Dicksons Of Perth Motorhome Sales. Dicksons Of Perth is a family run business with nearly 60 years experience in the motor industry as well as three generations. We are official dealers of new Globecar, Roller Team, and Pilote motorhomes, and the only dealers of new Itineo and Malibu motorhomes in Scotland. Our extensive knowledge of the industry puts us in an excellent position to find you the perfect motorhome to suit your lifestyle. We also have a stock of high quality used motorhomes across a range of brands, sizes and ages to suit all budgets. Enquire online today or call us to discuss your needs, we also offer motorhome finance and part exchange. We also have a large NCC Approved workshop for any of your aftersales needs along with a fleet of 15 brand new rental vehicles to enable customers to ‘try before you buy’. Dicksons of Perth is located conveniently in central Scotland, for new and used motorhomes just a short drive away from Edinburgh, Glasgow and Dundee. 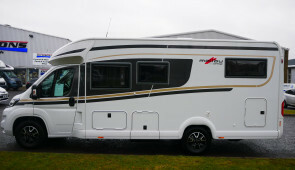 Browse our new motorhome brands to find your next motorhome at Dicksons of Perth. Located on the Dunkeld Road, Perth in central Scotland, we are very accessible from all areas of the country; whether coming by car, plane, train or bus. One of our knowledgeable and friendly staff will assist you in looking for your new vehicle. For any repairs, habitation services or accessories you may wish to have carried out.